Massachusetts and Rhode Island have announced offshore wind projects aimed at delivering a combined 1,200 megawatts of energy — or enough to power 600,000 homes. Also Wednesday, Democratic Rhode Island Gov. 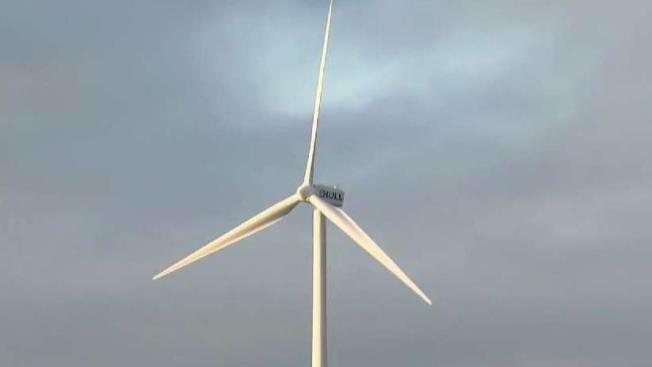 Gina Raimondo said that the state had selected the same Providence, Rhode Island-based Deepwater Wind project that had been proposed for Massachusetts — a 400-megawatt offshore wind farm Revolution Wind. Massachusetts' Republican Gov. Charlie Baker said the announcement brings the state "one step closer to achieving our administration's goals of creating a clean, reliable and cost-effective energy future for Massachusetts residents, and significantly reducing greenhouse gas emissions to combat climate change." The projects are part of a wider push for proposed offshore wind power along the East Coast, with other states — including New Jersey, Connecticut, Virginia and New York — pressing ahead with the goal of transforming the electric grid and providing energy to power millions of homes.